One year ago this month, it got just a little bit easier to go through childbirth and the early months of new parenting in Dubai. That was due efforts by the Shereen Zarroug and Eleonora Fornelli, the childbirth professionals and doulas who launched Baby Belly Mom. It took the pair several months of meetings with the Department of Economic Development to have “doula” approved as a professional, licensed activity, making Baby Belly mom the first such agency agency devoted to supporting mothers before, during and after childbirth. Taken from the Greek word for “female servant or caregiver”, a doula is literally a birth coach or a birth companion — on call for a variety of needs including assuaging fears before birth, educate on alternate methods of pain relief and build confidence about childbirth and early parenting. 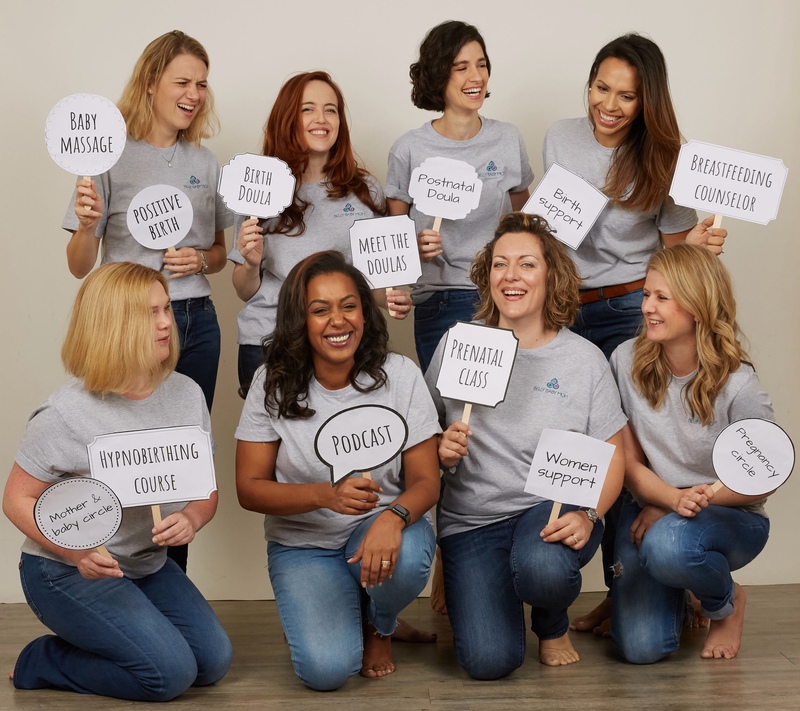 In the year since launching the pair have been busy, continuing with the Baby Belly Mom monthly podcast they launched in 2017 (it’s available through iTunes and other podcast providers), adding doulas to their roster and holding a regular calendar of classes, workshops and free events. 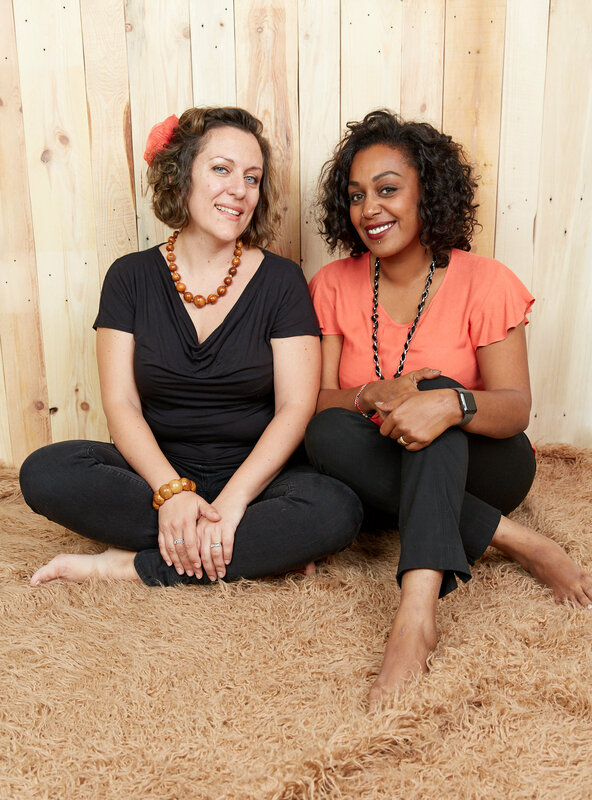 They’ve supported mothers of more than 25 different nationalities, held a Doulas of North America training and certification, launched one awareness campaign and are planning another. They now have seven doulas speaking eight languages, and plan to start Lamaze training in September. Research backs up what they are doing. In July 2017 Cochrane’s Pregnancy and Childbirth Group published a research review of 26 studies providing information from more than 15,000 women living in 17 countries. Based on the limited data and evidence available, the review recommended future research to delve into the findings, which were that women who receive continuous labour support may be more likely to give birth without forceps or cesarean section, have shorter labours, lower incidence of postpartum depression and more healthy babies. What compelled you to set up Baby Belly Mom? With six children between us — three each — we both had our share of unsatisfactory birthing experiences where we felt unsupported and disrespected. We later on realized that we were not alone and that many other women in our community felt the same and were still undergoing disheartening birth and postnatal experiences. 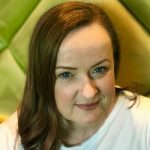 We knew it was time to speak out loud and send a message across to our society of women that birth is and should be a respected and beautiful experience, and that they could feel supported with knowledge, trusting their own instincts, working with a doula and finding the right doctor that supports their wishes. We also realized there was no official organization or company in the UAE that stood for women’s rights in childbirth. We wanted to be their voice and allow women to speak up and know their options during pregnancy and birth, which is why we are passionate about our awareness campaign that includes a quarterly movie night for expectant couples, pregnancy talks, pregnancy circles and more. We knew each other for a few years as we met in several doulas social gatherings, but one day, we decided to have a meeting on the beach to discuss some ideas. As we were there, we sat looking out onto the sea, dreaming about bringing respect into the birthing scene in the UAE and GCC. After a few hours, we filled pages with projects and ideas for supporting women during their experience of walking through the first stages of motherhood and we noticed that our styles were complementing each other. After a few month of working together, we are happy to say that our feminine intuition was right. How accepting are people, government and hospitals of doulas in the UAE? Together with supporting women and their families as doulas to achieve the best birthing experience that they wish, our main goal is to create awareness about the doula profession and the importance of feeling respected, listened to and supported during childbirth. The UAE is a great nation to promote new concepts as the vast majority of its population is curious and open to discovering new information. During the first six months of our company formation, we introduced the Ddoula profession to several hospitals and the feedback was very positive from them all. How does that cut across different nationalities? Since doulas are very well-known in many countries outside of the UAE. such as the US, Europe and Brazil, we found that some nationalities were more receptive than others. We are well aware that some medical staff and octors are doubtful about our job role and its benefits for the mom and we believe that the personal educational background has a big impact in how we are perceived. We find it very fulfilling when, after attending a birth with some of these doctors, they become more relaxed in having us supporting their patients as they see and understand what we do and how we really help the women.It is a process that will take time but we are confident that our profession will be welcomed in different hospitals and we will be able to support any woman willing to avail of our services. What can someone who works with a doula expect to experience and achieve? When we meet with expectant mothers who are looking for our doula support, we always tell them to listen to their gut and look out for a rapport with their potential doula. This is because we honestly believe that there must be a special connection between the mom and her doula. In childbirth, women are vulnerable and they need to let loose. 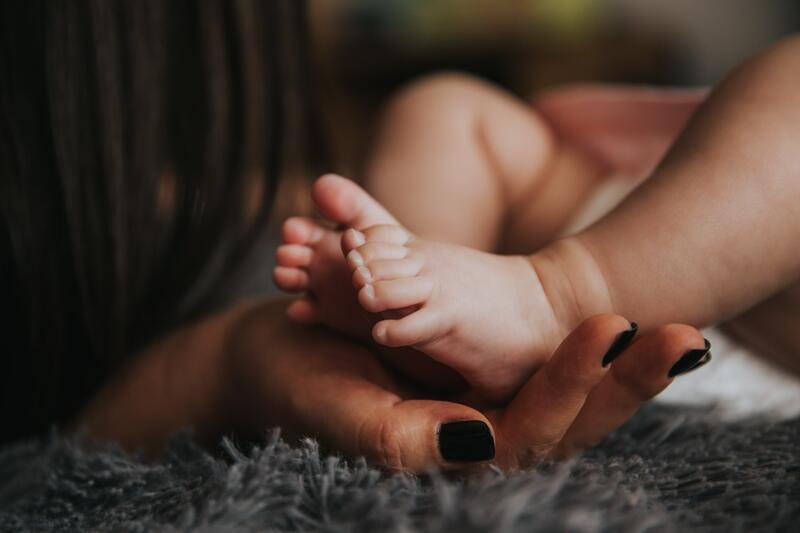 We offer a wide range of services for supporting women through the different stages of motherhood, from early pregnancy to the first year of the baby. Focusing on our doula service, we offer a personalized educational and emotional support service during pregnancy and birth with the Birth Doula package and during the postpartum period with the Post-Natal Doula package. Usually the moms contact us during their pregnancy because they want to be educated about what we do and how we can support them. Our aim is to support the women to be informed about her options and what she should expect during her birthing experience. We usually refer to our roles as ‘maternity coaches’ whose main duty is to ‘mother the mother’, providing her with evidence-based information for her to make informed decisions and the continuous non-judgmental support to feel held and respected during her journey of becoming a mom. With the Birth Doula package we offer two private prenatal sessions in the comfort of their home during which we become acquainted with the mom [and the partner if interested] and we talk about her or their wishes regarding the birthing experience. These sessions are tailor-made on the couple’s needs. For some, they will be more educational and for others they will be more on pain-coping techniques and for some they are more focused on talks about what is creating some fears in the couple that could possibly interfere in their journey of becoming parents. From the first visit the doula becomes the couple’s maternity coach and is available to provide non-medical information and emotional support through phone, messages and emails. From the 38th week of pregnancy the doula is on call 24 hours a day, seven days per week, and is available to reach the mom at the hospital whenever her labor is active and she requests the doula’s presence. From the moment the doula joins the mother in active labor at the hospital, she remains with the mom until around one hour after the birth. During this time she supports the mother, suggesting different holistic techniques for coping with the discomfort of the waves and contractions through the different stages of labor and birth. The doula goes back to the mom for another private session within 10 days after the birth in order to support her with understanding her new role as a mother and to debrief the birthing experience. What common childbirth concerns do you see? I think the main concerns our clients have revolve around trust. Are they able to confidently trust their doctors? Can they change doctors at any point during pregnancy? How can they know if a doctor is being honest and supportive or not? When we work with a mom, we offer her a sense of calm and assurance on how she can choose a doctor that is right for her and suggest to her what kind of questions she can ask her doctor to ease her mind for the doctor and hospital choices she makes.